The deadline for this blog challenge is Monday, 2 May 2016; and we ask you to write about a person or a family that you have researched that were involved in war. When you have published your blog, please include the name(s) and link in our comments section at the bottom of this post by Monday, 2 May 2016, and your entry will be collated with all the others and posted on a follow-up Kintalk blog on Monday, 9 May 2016. If you don't have a blog, perhaps you could email it to kintalk@aucklandcouncil.govt.nz instead, and I will post it on the Kintalk blog for you. 2015 Trans-Tasman Anzac Day Blog Challenge - unfortunately the review for this year appears to be missing, but you can check out the links that other bloggers left in the comments of the original challenge blog and also here. And Papers Past and Trove for newspapers of the time. Within the Auckland Libraries catalogue: search using World War, 1914-1918 or World War, 1939-1945 to find suitable resources which include articles as well as books and other resources. Also try searching our library catalogue, using call number: 2 NZL MIL and 2 AUS MIL for more. Have a look at Auckland War Memorial Museum's revamped Cenotaph database. 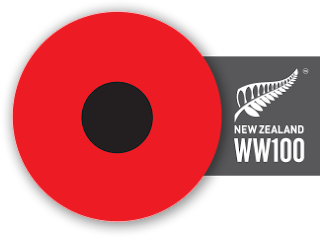 The Ministry of Culture and Heritage has developed projects to assist with commemorations, WW100 is providing a portal for New Zealanders who want to be involved in the commemorations, and NZ History Online provides a place for our school children to go to for homework and study assistance. You may remember reading about the launch in 2012 of New Zealand's WW100 in a previous blog. Have a look at Britain Remembers, and the Imperial War Memorial Museum's Lives of the First World War. Have a look at the Prisoners of the First World War website. Remember Ancestry, Findmypast and the Genealogist are all free to use with any of the 55 Auckland Libraries sites.